Last week, OverDrive Inc. released OverDrive Media Console for the iPad, a free app from Apple’s App Store. With the app, you can now borrow eBooks for reading on the go with a tablet. You can already borrow an eBook from a library using an eReader, including the Sony Reader and Barnes & Noble Nook, but you’ll need a PC and a USB cable for downloading and synching. Amazon’s Kindle doesn’t allow borrowing eBooks from libraries. For the past week, I borrowed and wirelessly downloaded digital books onto tablets primarily using OverDrive, the largest distributor of eBooks for libraries. I tested the OverDrive Media Console for the iPad. I also used the Dell Streak 7 tablet to test the app on the Android operating system; this app also works on Android smartphones. An iPhone app is available. Before you go hunting for your library card, there are a few factors to consider. While there are positives to borrowing eBooks from a library, the process has significant limitations that can be frustrating. The biggest upside, of course: They’re free. In comparison, digital bookstore apps like Amazon’s Kindle, Apple’s iBooks and the Barnes & Noble Nook app charge around $10 a book. Local libraries pay for licenses to each eBook just like they pay for each physical book. Lending periods vary among libraries, from seven to 21 days, and some libraries let patrons set due dates. Fines or late fees are nonexistent because digital access to the books expires on a set due date, at which point titles lock up and users are prompted to delete the titles. There’s a major downside to borrowing digital books. If the book you want is checked out, you still have to wait until someone returns it to borrow it. OverDrive’s licenses allow one book copy per person, so several people can’t simultaneously borrow the same eBook. Libraries can buy several licenses for a title so they can have multiple copies of popular books for borrowing. I found seven eBook copies of “The Girl with the Dragon Tattoo” in my Washington, D.C., public library system. 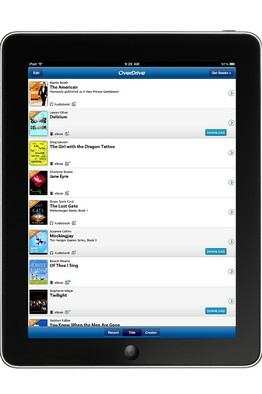 The OverDrive app, running on an iPad, shows how many copies of each book are available and how many people are waiting for each book. But the OverDrive interface showed me that most of the books I wanted to read were checked out, and in several cases, there were other patrons on a waiting list for the copies. While “The Girl with the Dragon Tattoo” had seven copies, it also had seven patrons waiting for copies of the book. The idea of waiting for a book with many people lined up to borrow it is enough to inspire even some of the most frugal readers to cough up the dough to buy digital books. 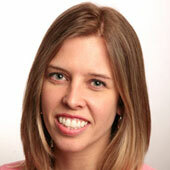 Just like with “real” library books, checked-out eBooks shouldn’t impact sales of eBooks. Book selection is also a challenge. According to fiscal records, my library’s physical book collection numbers well over two million books, while its OverDrive titles total about 11,000 eBooks. And only a portion of those were in the EPUB format, which is the only format that works with the Android, iPhone and the iPad apps. That meant the selection for me is pretty small. Smaller libraries have even fewer eBooks from which to choose. Users can’t borrow digital content from libraries where they don’t have library cards. Many of my book searches showed the that my library didn’t have a digital copy of the incredibly popular “Team of Rivals” by Doris Kearns Goodwin, or even anything by the popular mystery novelist, Mary Higgins Clark. I tried entering broader terms into the OverDrive search box and didn’t have much luck then either: The term “London” only returned two results. Part of the selection problem, of course, is that many libraries are new to the eBook borrowing experience and are in the midst of building up digital collections. Since availability is a problem, it would make sense that users could view books by seeing just those books that are available for borrowing. But OverDrive lacks this feature, so users are stuck searching for—or scrolling through—titles over and over again only to find that they’re already checked out by other people. After a dozen searches like this, I was ready to give up. The OverDrive spokesman said a feature that sorts books to display only those available will be out sometime this year. He noted that several libraries are increasing their eBook catalogs to adjust to increasing demand from tablet users. But the process for selecting and downloading books is clumsy. After choosing the correct local library, the OverDrive app sends the user out into the tablet’s Web browser to find books in the library’s system. OverDrive’s spokesman said this preserves library branding but that, in the future, this selection process will be in the app. To download and read the EPUB formatted book, you must sign in with an Adobe ID. This is in addition to entering your library card number. I had one of these IDs from past use of Adobe products, but many people won’t and will groan over this extra registration step. Actually checking out a book, takes very little time. After all, these files contain only text, not large video or audio files. Since I had trouble finding books to download, I settled on a romance novel featured on OverDrive’s homepage titled “Hawk’s Way: Rebels” by Joan Johnston. It took less than 30 seconds to download to my iPad. Once downloaded, books looked fine on the iPad and Dell Streak. The screen’s brightness can be adjusted using an on-screen slider and a handy navigation strip at the bottom of each page shows where you are in a book and how many pages remain in the currently opened chapter. Publishers can set the number of font sizes to which text can be adjusted. And with the app, text can’t be displayed like pages in a real book (with two columns of text on two pages opened in front of you) when the tablet is held horizontally. OverDrive doesn’t enable synchronizing of material across multiple devices, like Amazon’s Kindle app does with Whispersync. So if I download a book on my iPad in the OverDrive app, I can’t open that book on an Android phone or desktop using OverDrive. OverDrive serves more than 13,000 libraries with a catalog of 400,000 titles from 1,000 publishers, but it’s possible your library may not use this system (check OverDrive.com for participating libraries). The spokesman said the company plans an app for the BlackBerry by June and hopes to enable wireless downloads on other devices in the future.